﻿ Taipei City Goverment-Features-“TBS 931” on Youtube: Subscribe before Nov. 20 to Win Prizes! “TBS 931” on Youtube: Subscribe before Nov. 20 to Win Prizes! 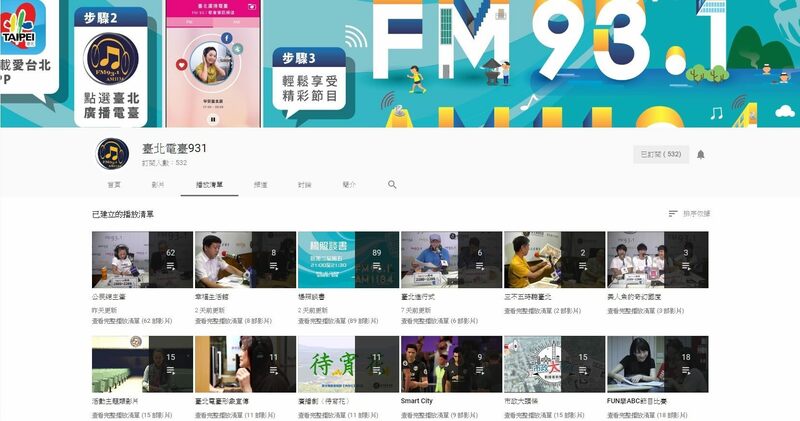 To reach out to a broader group of listeners, Taipei Broadcasting station (TBS) has made a number of popular programs available on Youtube! The selection on TBS’s Youtube channel includes popular shows such as His Books (host: Yang Zhao), Good Story Everyday (host: Hao Guang-cai), and Civil Society Editors (various hosts). Listeners will be able to access these programs at their own convenience. To promote the online channel, TBS will be giving away free notebooks to lucky listeners who subscribe to “TBS 931” Youtube channel and leave their messages in the discussion thread on the station’s Facebook fan page from today until November 20, 2018. Subscribe to TBS 931 channel on Youtube (see link below) and clip a screenshot of channel subscription. Post the screenshot to the discussion thread (which was posted on November 5) on the Facebook fan page of TBS. Drawing will be held on November 21 to determine 10 lucky winners of the notebook. If more than 150 users submit screenshots of channel subscriptions before the deadline, 5 sets Hakka cloth bags will be added to the list of raffle prizes.